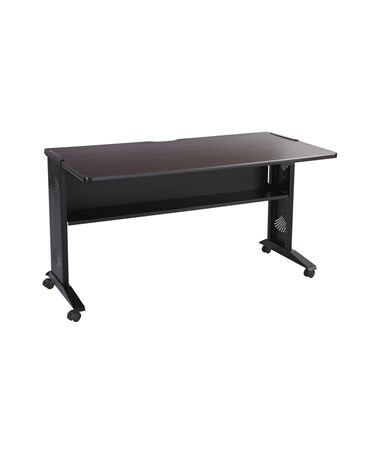 The Safco Reversible Top Computer Desk is a stylish and versatile table perfect for home and office computer setup. It features a tabletop that can be reversed between mahogany and medium oak colors and can hold up to 200 pounds of weight. 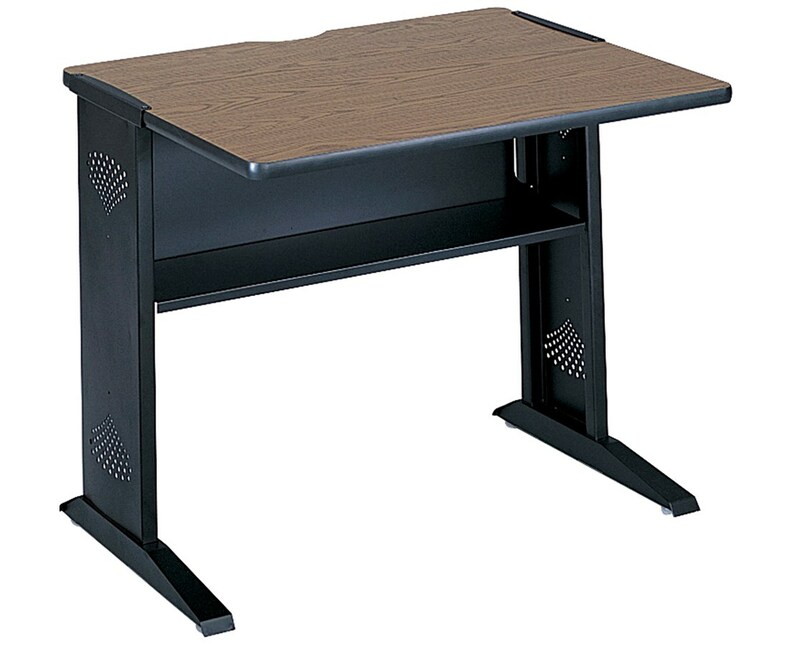 It also has a full-width 6.75 inches steel shelf, a privacy panel, and side panels with a ventilated design. For cable management, this table has cable routing cutouts for installation along a wall. 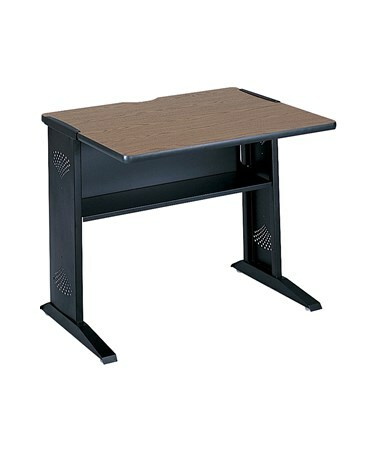 This 30 inches high and 28 inches deep computer table’s top is made of a one-inch laminate wood, while its base is made of steel with powder coat finish. It comes in three different widths and the largest, the 54 inches wide, is mobile on four dual wheel casters. 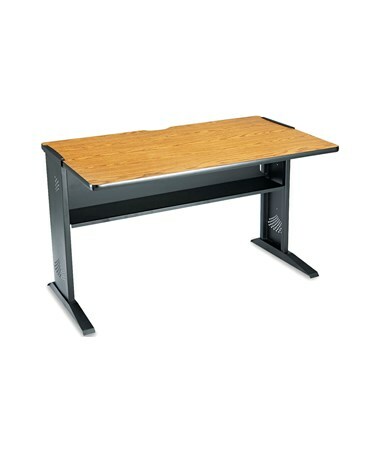 The Safco Reversible Top Computer Desk is available in different widths. Please select your preference from the drop-down menu above. Width: 36", 48", or 54"